There are of course other tax attorneys in Orange County and throughout California. But only a select few will also qualify as a Certified Public Accountant (CPA). And even fewer tax attorneys will be able to point to extensive IRS experience, including positions as an Internal Revenue Service Agent, Instructor and Appeals Officer. Its no secret that accounting, tax and the law often overlap, so why gamble when faced with a tax or business issue? Why not choose a business partner experienced in all of these disciplines – one that can provide you with the confidence of having at your disposal unsurpassed expertise in legal, tax and accounting practices. 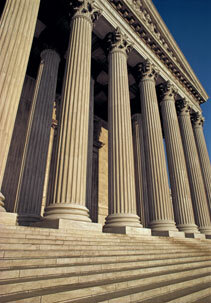 Partner with a firm that puts extensive expertise on your side - Timothy W. Tuttle & Associates. Advice and Preparation of "Buy-Sell Agreements" and Plan for "Exit Strategy"
Why gamble? If you are searching for an experienced CPA and tax attorney in Orange County, California, partner with Timothy W. Tuttle & Associates. Unsurpassed legal, tax and accounting services.